This post is republished with permission from Building Faith. While it was originally written for church groups, the instructions and reflection are just as meaningful at home. – Ed. Pretzels for Lent date back to the early Church, perhaps sometime in the 4th century. During that time it was common for Christians to fast during the season, abstaining from meat, dairy, fats, and sweets. These quick breads are made with only a tiny bit of sugar (or honey, if you prefer) to activate the yeast and no fat – they are entirely flour, water and yeast! Fasting is not an end in itself, it helps us empty ourselves and so draw closer to God. Praying is another way to draw closer to God and pretzels remind us of prayer, too. This soft dough is formed into a loop with ends crossed, meant to symbolize arms crossed in prayer. 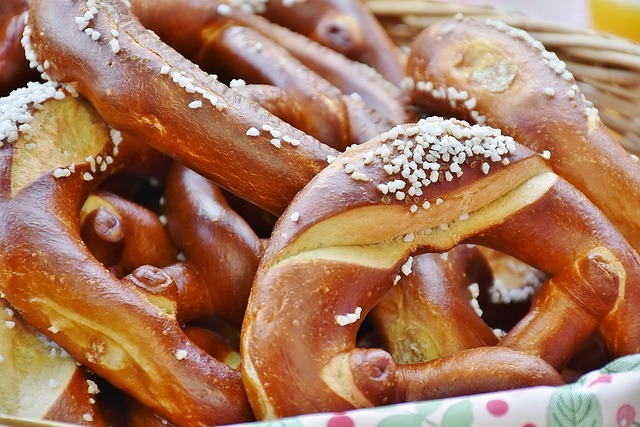 The word “pretzel” comes from the German translation of the Latin word for little arms, “bracellae.” Another story places the origin of the word in “pretiola” which means little reward, so pretzels might have been given as an award to a child who had learned her prayers! One of my favorite lessons that these pretzels teach is about yeast. We hear Jesus compare the Kingdom of Heaven to yeast that spreads through flour to make dough rise. Matthew’s version of the parable says that she uses a measure of yeast to 60 pounds of flour. In our recipe we use about a pound of flour, and we can see how much our measure of yeast makes it rise. The kingdom of heaven is like a tiny bit of leaven that makes flour into bread! I’ve been using this recipe since childhood and it is easy enough for children to make themselves. If you are uncertain in the kitchen, make a test batch before making them with your church group. This recipe makes 20 large pretzels. The best way to make more is to set up single-recipe stations, rather than doubling or tripling the recipe. Pretzels make for good turn-taking, as they require measuring, stirring, and kneading. Everyone can take a turn…and everyone can make their own pretzel, plus extras to share. These pretzels take about 40 minutes to make from measuring to cooling. They work best as a Sunday school (or youth group) activity when you start by talking about the season of Lent, prayer, and fasting. Then make the pretzels and bake them during worship. Invite your congregation or other Sunday school classes to join you in eating them or send them home in brown bags with your children. Does your church or family make pretzels during Lent? Made these today with my kids using the recipe. 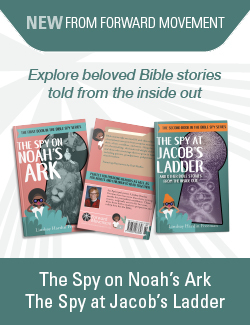 We started by reading the verses from Luke about the woman mixing yeast into dough, and I printed coloring pages depicting the same for them to work on while the pretzels baked. We had a great time, and they were delicious! Definitely a new Lenten tradition for our family–thank you! 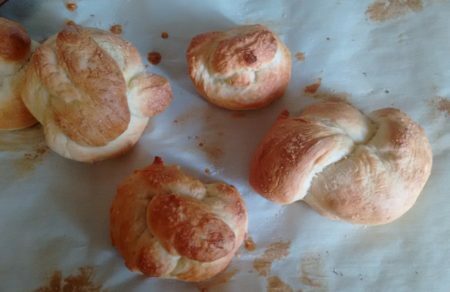 Made these with my 5 and 9 year old, very friendly and easy recipe. We rolled our pretzels too thinly perhaps, bc at 20 minutes about half of them were burnt. Commenting to encourage people to set their timers for a shorter time and keep an eye on the pretzels while baking!